EdgeCoin is a secure digital currency that rewards you for serving traffic globally over our distributed network. Think of it as a loyalty card. Accrue EdgeCoin by serving traffic over our network and then redeem it to drive increased traffic, engagement, and revenue to your web presence. Every request made over our network mines EdgeCoin. These micropayments are tracked by a decentralized blockchain. This blockchain is dynamically and cryptographically signed for each request served over network. Computation at this massive scale is made possible through the combination of standalone miners and our ground-breaking quantum computing network. Our dedicated miners assign mining power to each customer according to their network transactions for free. Use accrued EdgeCoin to unlock unfettered access to an elite network that is light-years ahead of the competition. Your data will flow through it at mind-blowing velocity. Your users will be amazed as your web sites load at speeds bordering on precognition. Customer loyalty is paramount to us. We want to express our gratitude by automatically activating our dedicated EdgeCoin miners on all customer accounts. It doesn’t matter to us whether you have been a customer for a day or a decade. We’ll send you an EdgeCoin wallet that comes with ePaper that displays your EdgeCoin balance and your public/private keys. This is our way of showing our appreciation for choosing us to be your content delivery provider. Getting started with EdgeCoin is extremely easy, since it does not require additional configuration. Every request served over our network builds EdgeCoin equity. Before you know it, your content will be delivered at ludicrous speed on the only quantum-powered network ever built. EdgeCoin is the disruptor that allows your user base to thrive and grow exponentially. 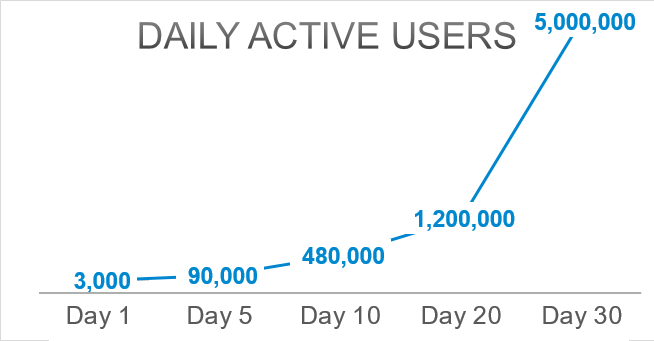 Our customers have seen mind-boggling growth in their daily active users. Did we have you fooled? Gotcha! This is just a friendly April Fool’s joke, but thanks for playing along to the end.